Aussie! Aussie! Aussie! Oi! Oi! Oi! The Asia Minor for IEM Katowice 2019 has come to an end. 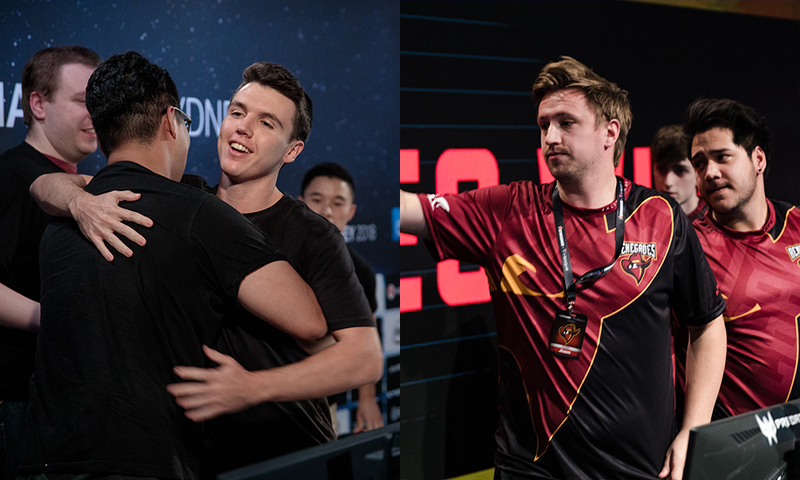 And to the delight of every CSGO fan down under, Renegades and Grayhound ensured an Australian 1-2, grabbing both the spots, with Vici Gaming dropping to play the IEM Katowice Minor Play-ins. Renegades and Grayhound were both stationed in Group A. With Tyloo already at the IEM Katowice Main Qualifiers, Renegades were expected to dominate the Minor. But, their sailing was far from smooth. While they progressed through Group A with breeze, the Upper Bracket semi-final against Vici saw them struggle to an extent before closing it out on three maps. A rematch of the Group A Winners Match happened at the Upper Bracket Finals of the Minor, with Grayhound taking the game to Renegades this time around. In what was a closely contested series all through the three maps, Renegades somehow prevailed, thanks in large to the explosive duo of jks and jkaem, thus joining their near-eternal Asian rivals Tyloo at the IEM Katowice Major Qualifiers. Coming on to Grayhound, their path was riddled with hard-fought victories. The Australian organization led by Mongolian IGL erkaSt were chasing the game almost every time. Overcoming CyberZen in the Group A decider to pull through and set up a semi-final date with MVP PK, they had to dig deep to come back after losing the first map. They rode on the back of erkaSt’s powerhouse 72-44 K/D performance to qualify for the Upper Bracket Finals, thus securing atleast a place at the IEM Katowice Minor Play-ins. They ran Renegades close but ultimately fell, which meant it was going to be a best of 3 with Vici which would decide whether they grab a spot at IEM Katowice or have to go through the Minor Play-ins. At the time of speaking, Vici has upset North at the IEM Katowice Minor Play-ins 16-8 and set up a date with Winstrike in the Upper Bracket Final. A fourth Asian team at IEM Katowice perhaps?